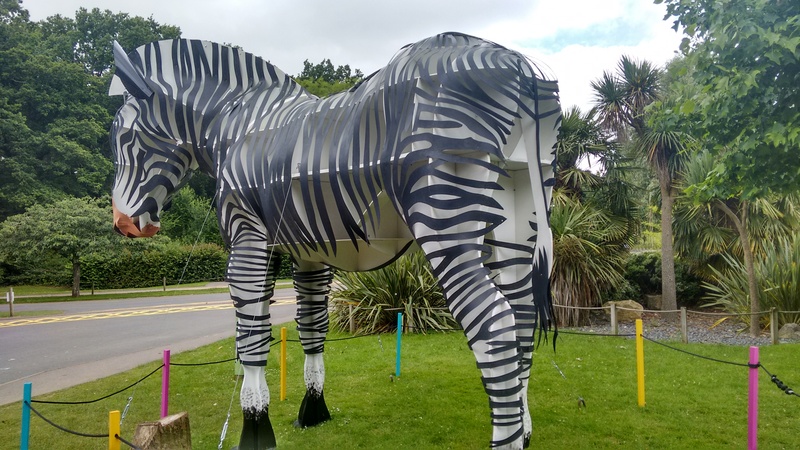 If you’ve visited Southampton over the Summer of 2016, you’ll have struggled to miss the many zebras hiding around the town. The Zany Zebras are an art extravaganza raising money to support Marwell’s wildlife conservation projects. Each of the Zebras has been decorated in an individual way, they really are fabulous pieces of art! 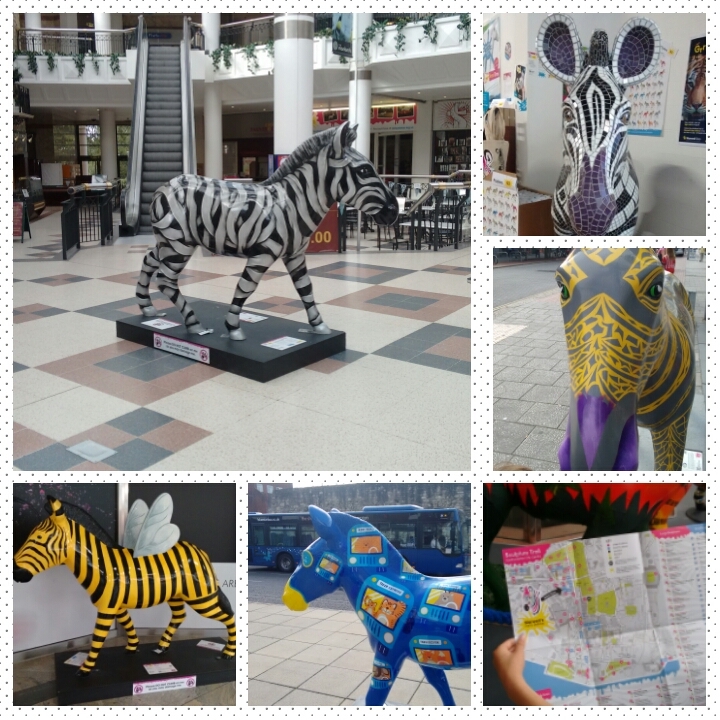 There are 150 Zebra sculptures in Southampton, 47 large, 103 small and 27 miniature replicas of the large sculptures. 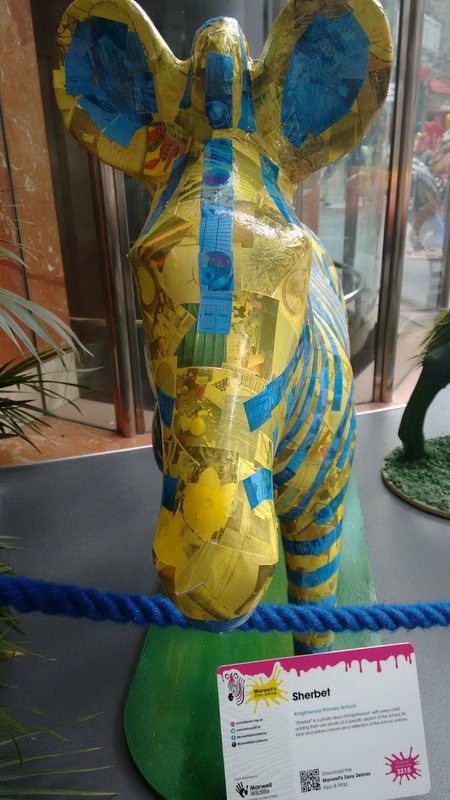 We started our trail at the Zany Zebra’s zone, this is in the Marlands shopping centre, near to the Disney Store – so it’s really easy to find! The children were excited by all the zebras they could see in the Zany Zebra Zone, and I thought it was a great idea that they had a photograph of each of the zebras you could spot while out on Safari! You can grab a Zebra trail map while you’re there, or if you’d rather there’s a great app to download to help you spot them all! We really enjoyed the trail, although we didn’t get to see them all – it was match day so we missed the one at St Mary’s stadium which we had really wanted to see. The trail can be as big or small as you want it to be, there are plenty of Zebras to spot in the main shopping area. Or you can explore Southampton, and see them all! There is also a great Zany Zebra trail at Marwell zoo, with a children’s quiz to help them spot them all! These are small Zebras but just as fabulous! Most excitingly you can grab a Zelfie with the giant Zebra!! The zoo trail is on until 10th October 2016, so there’s plent of time to visit! It would be a great activity for a weekend treat, or perhaps to keep the children busy on an inset day? There are lots of things to do and see at Marwell for children of all ages, including great play areas, plenty of picnic space and most of the zoo is accessible with a pushchair or wheelchair. If you can’t make it down to the Zany Zebra trails before they end, panic not! There’s a fabulous Zebratastic Weekend on 14th – 17th October at the Ageas Bowl, where all the fabulous Zebras will come together for a fabulous zebra extravaganza! If you pop into Zany Zebra’s Zone advanced tickets are £2.50 (they will be available on the door at £4 each). Disclaimer: We were invited to visit the Zany Zebras in Southampton, all images, thoughts and opinions are my own. Previous PostCoupons and money savingNext PostLow carbs, exercises and enjoyment- key to healthy you!